Could A Debt Consolidation Loan Be Your Ticket Out Of Debt Hell? HomeBlog Debt ConsolidationCould A Debt Consolidation Loan Be Your Ticket Out Of Debt Hell? The poet and wit Ogden Nash once wrote, “Some debts are fun when you are acquiring them, but none are fun when you okay and in trouble financially and in France at an early and in about retiring them.” It’s even less fun if you’ve succeeded in acquiring a lot of debt and can’t see any way to retire it. In fact, if you’re seriously in debt and by this we mean you have a mountain of credit card debt and are struggling to make just your minimum payments, life can be a living hell. Why take out a debt consolidation loan? Thousands if not millions of American families have used debt consolidation loans to get out of debt hell. If you were able to get a loan large enough to pay off all of your debts, this would be almost an instant solution to your problems. It would eliminate all of those creditors or debt collectors who have been harassing you unmercifully as you would be able to pay them off immediately. Your life could become much less stressful, you could sleep better at night and when you woke up in the morning, you would have a brighter day ahead. Your debts would become more manageable and you should have a new peace of mind. Debt consolidation loans generally come with longer terms. As a result, they normally have a significantly lower monthly payment. You should also have a lower interest rate than the average interest rate of your current debts. It will be easier for you to manage your debt because you would have only one monthly payment to make instead of having to remember and make multiple payments. Last but not least, a debt consolidation loan can mean a sort of timeout during which you could repair your credit. Debt consolidation loans come in two flavors – secured and unsecured. If you were carrying a really big debt such as $20,000 or more, your best bet would probably be a secured loan. This is one where you are required to put up some asset as security. For most people this means their houses. You might be able to get a homeowner’s equity life of credit or a refi – which means a new mortgage. Given today’s mortgage rates of 4% or below, a refi could make a great deal of sense as you would surely end up with a much lower monthly payment than the sum of the payments you’re currently making. The biggest downside of a secured loan is that it puts whatever asset you use as collateral at risk. For example, if you were to pledge your home as collateral and defaulted on the loan, your lender could foreclose on it and you might literally end up homeless. Unsecured loans are just that – loans for you are not required to provide any collateral or security. If you owe less than $20,000 this might be a good option. However, do keep in mind that banks are often hesitant about loaning money to people who are already having a problem with debt. Fortunately, there is a new form of lending called peer-to-peer lending where you might be able to borrow enough money to pay off all of your other debts. However, this is an area where you need to be careful because some of the online peer-to-peer lenders charge outrageously high interest rates. The biggest problem with using a debt consolidation loan to pay off debts is that you may not be able to get one. If you have bad credit and don’t own a house or some other valuable asset you could use as collateral, you might be out of luck. Of course, there are other options for paying off your debts besides a consolidation loan. For example, you could sign up for consumer credit counseling. This is where you go to an agency or company and are assigned a debt counselor who reviews all of your finances and helps you develop a plan for managing your debts. This is also a form of debt consolidation because your debt counselor will submit your debt management plans to all of your lenders. If they sign off on it, you will no longer be required to pay them. Instead, you will send the credit-counseling agency or company a check a month until you complete your plan. A third way to pay off debts that’s become increasingly popular over the past few years is through debt settlement or what’s sometimes called debt negotiation. 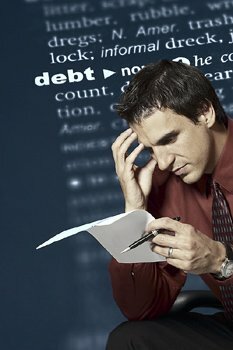 This is something you may be able to do yourself or you may need to hire a debt settlement company. If you want to do this yourself, it means contacting all of your creditors and negotiating settlements for much less than you owe. However you won’t find your creditors very anxious to settle unless you’re at least six months in arrears on your payments. You also need to be able to convince them that settlement is in their best interests because if they don’t agree your only other option would be to file for bankruptcy. If you’d like more information on settling debt with your original creditors check out this video. Most people find the idea of negotiating with creditors so nerve racking that they elect to contract with a debt settlement company. There are several advantages to this, not the least of which is that companies such as National Debt Relief have debt counselors with years of experience negotiating with lenders and are almost always able to get better settlements then people can do themselves. In addition, if you hire a debt settlement company this eliminates the need to have enough cash available to pay any settlements you would be able to negotiate yourself. Plus, debt settlement is another form of debt consolidation in that once all your debts have been settled, you would no longer be required to pay your lenders, as the debt settlement company would have assumed responsibility for that. Here are some tips for paying off debt you might find helpful.